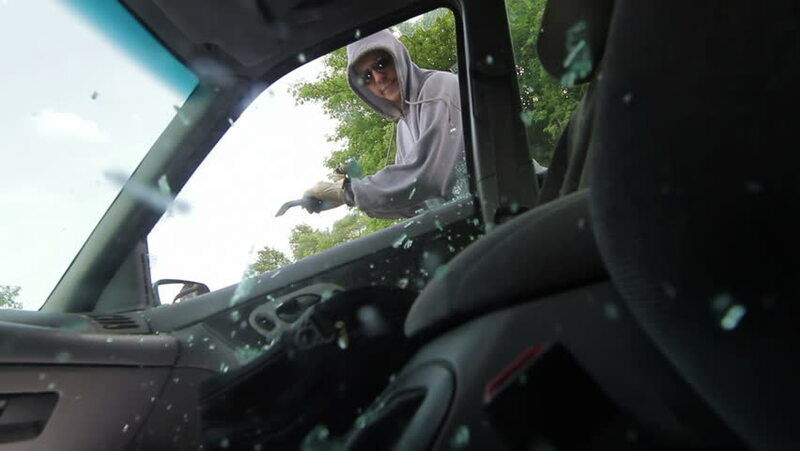 Burglar smashes a car window with a pry bar and reaches in to grab a bag with a laptop computer. Recorded with high shutter speed. 4k00:31Point of View Time lapse: car driving evening highway with heavy traffic during sunset. POV: drivers hand holding a wheel and road is seen through a car windscreen. 4K. hd00:27Burglar smashes a car window with a pry bar and reaches in to grab a bag with a laptop computer. Overcranked slow motion recorded at 60fps.